During the 2019 QRCA Annual Conference, Sofia Costa Alves of Mindbrand demonstrated how to lead a full Design Thinking Process from Stage 1 of Insights Gathering to Stage 5 of Product Testing. She illustrated the process through real case studies of process in action, from beginning to end. Costa Alves provided each attendee with a toolkit template that we can incorporate into the methodologies we offer to clients. Throughout the presentation we saw the divergent, integral thinking that characterized the process. Costa Alves shared that there are many different ways to put the Design Thinking Process into practice – it is about understanding the consumer and problems we are trying to solve. The key to this process is to make sure that every participant is heard. After the Post-It exercise, the information was organized into major themes and then written on blank cards. These cards were placed on the wall and the post-it evidence was put on a flip chart where the team looked for strong evidence that there was something going on. All of this information was then converted into problem statements with priority being given to the key identified problems. The participants next got into the ideating stage of the process. For each problem, participants were asked to create four radical solutions and then started generating ideas through drawing and writing. The work was shared with the group and feedback was given by all present participants. From these steps, the teams built prototypes and decided how to test the solutions they came up with and present them to consumers. 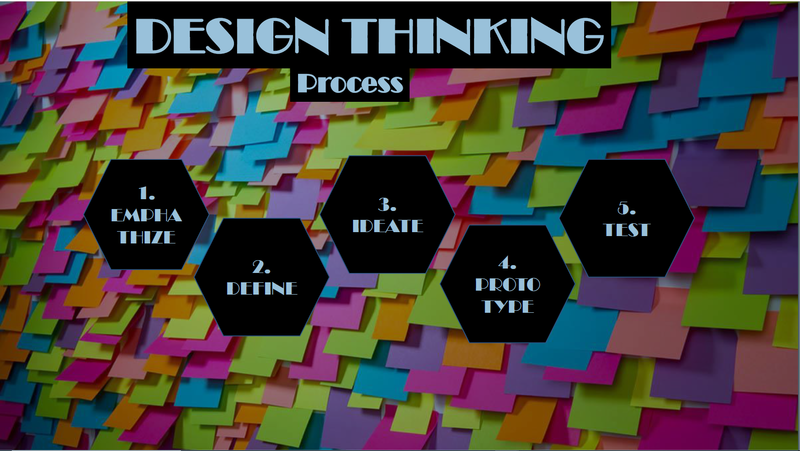 Throughout the whole process it became very clear to me that the key to successfully utilizing the Design Thinking Process is the charisma and energy of the moderator. Through the key use of energizers, ice breakers and breaks, the moderator can keep momentum throughout the process and find success. Personally, after this great in-depth presentation I will be carrying the recognition of how deeply the consumer needs to be understood in qualitative research into all my thinking and dealings with clients. I found it funny and insightful that in the case studies presented, the moderators were able to gain the participation of the executives by giving up their phones for chocolate. Finally, the solutions/prototypes were focus-grouped with consumers. I loved the idea to "create 4 radical solutions" for each problem statement and will use that in my practice. 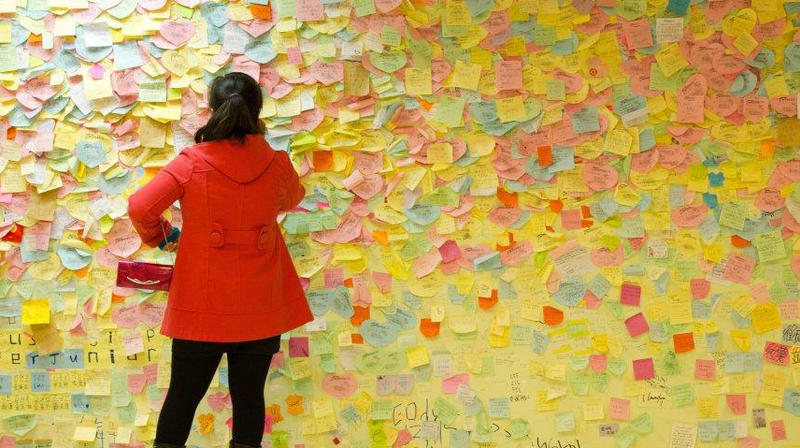 I was excited by the sheer number of Post-Its used in the various stages of the case study. They vividly conveyed the creative thinking and collaboration that went on throughout the Design Thinking session.